An investigation into a deadly plane crash at Nepal's international airport has blamed the captain for suffering an emotional breakdown during the flight. According to investigators, the captain of a Bangladeshi aeroplane "seemed to have an emotional breakdown" after a female co-worker had "questioned his reputation as a good instructor". 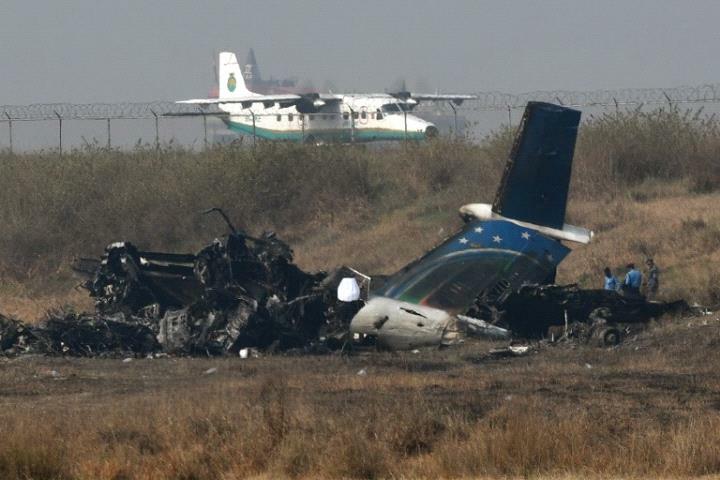 "This, together with the failure on the part of both the crew to follow the standard operating procedure at the critical stage of the flight, contributed to the loss of situational awareness," the report added. The US-Bangla Airlines flight to the Nepali capital from Dhaka caught fire on landing on March 12, killing 51 of the 71 people on board. The airline is expected to make an official statement later Monday. Sri Lankan President Maithripala Sirisena will ask for foreign assistance to nab the perpetrators of the Easter Sunday bombings. An explosion went off on Monday in a van near a church in Colombo where scores were killed the previous day. The Eiffel Tower plunged into darkness when the clock struck 12 on Sunday in honour of the people killed and injured in the multiple blasts in Sri Lanka. A magnitude 6.3 earthquake has struck the Philippines. Sri Lankan authorities have ordered a curfew in the capital, Colombo, for a second day on Monday. Residents across Dubai have noticed an increase in the number of mosquitoes in their communities. The devastating bombings which killed more than 290 people in Sri Lanka yesterday, shouldn't put people off visiting the country.